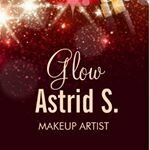 HI All, I am a professional MUA always interested in trying new products. Amazing foundation kabuki brush. The bristles are super soft and works great when applying liquid foundation. It gives the application and airbrush finish . Would recommend this brush and any from the sigma line Bc they long lasting dense bristle brushes with strong ferrule and grip! super easy to use this app. I love that you can do multiple directions to find a couple places in case you have many stops to make. I use this app almost everyday and i love it for my travels too. it is usually up to date for each country i have visited so far! I like the app for its simplicity. I did not get much savings or cash back as other reviewers so i am not sure i am doing it correct. but i always go through the app to start an online shopping experience. When i purchase i usually don't get a cash back. its really weird for me. like i said the app is easy to use and tons of stores on there, i just haven't received a cash back ! I LOVE this APP. Who doesn't love discounts, before I hit the outlet malls, i do two things, I check my budget and i check the retailmenot app, so that i can see what offers and discounts are available to me. I usually take a screen shot of the discount i know i am going to use and simply ask the clerk at the counter for the discount. she scans the photo and great discount is applied. You need this app on your phone. it is super incredible. I love it - It sends you daily reminders and it updates you on your modules which you need to take time to review. It gives you a percentage fluency you can add to your linkedIN profile. With Duolingo + you can download the lessons. great product! I have this application on ALL my apple products and even my family's devices. It really is great at the location finder and I would recommend this application for all of your apple products. this is my favourite app for social media, i prefer this over Facebook. I just love its simplicity to use and everything. the updates are always good and i love that they are always updating the application and making it more user friendly. This is was of my first ever High End Palettes, and I've repurchased twice. I use this palette to create everyday looks and I really love the pigmentation, the packaging and the application. Will recommend it !